We use exact reproductions of a US Model 1841 Limber and Caisson, along with the correct uniforms, including both Union Blue and Confederate Gray uniforms, as well as saddles, tack, and harnesses for a Civil War era artillery unit. 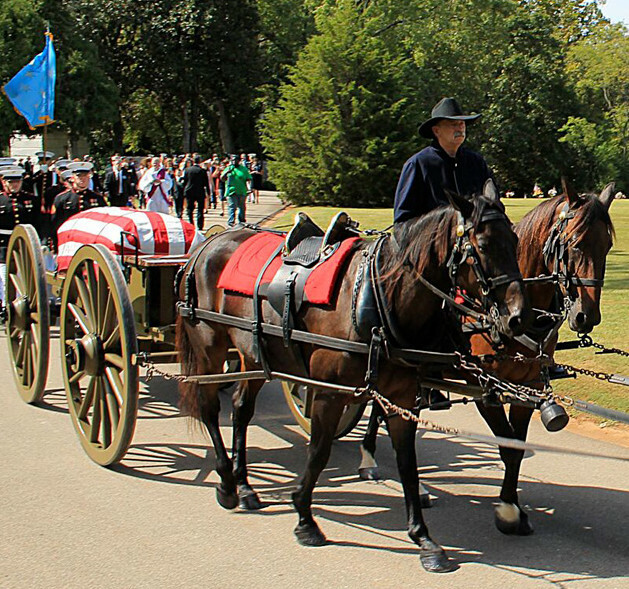 Our horses have been trained together to move cannons during Civil War reenactments, and have participated in wide variety of public events and parades. They are used to noise, crowds, traffic, and other distractions, as a capable and solid team.